Why Paul Weller doesn’t enjoy anywhere near the popular success in the States that he does in his native United Kingdom is not only mind-boggling but inexcusable. 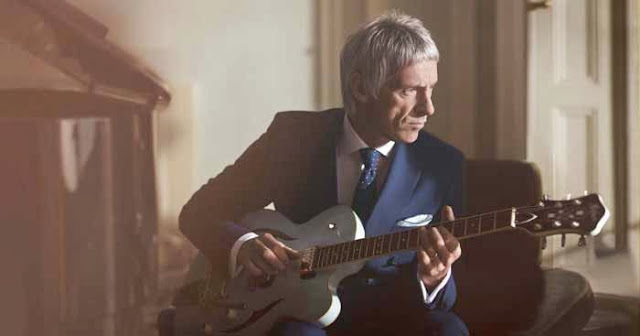 In a career spanning four decades to date—from his formative days in The Jam (“That’s Entertainment,” “Town Called Malice”) through his stint in the Style Council (“My Ever Changing Moods,” “You’re the Best Thing”) and, to follow, his ever-changing solo career (“You Do Something To Me,” “From The Floor Boards Up”)—Weller, 56, has remained both prolific and relevant, delivering a slew of classics at a seemingly relentless clip. Gifted with one of the most soulful, substantive voices to emerge from the UK this side of Steve Winwood, he’s also turned out no shortage of endearing, utterly gorgeous covers, taking on such classics as “I’d Rather Go Blind” (Etta James), “Let It Be Me” (The Everly Brothers), and “Early Morning Rain” (Gordon Lightfoot) with equal sincerity. Weller illustrates his distinctive confluence of talent and craft on his latest single, “Brand New Toy,” which stylistically veers between kooky, psychedelic piano pop and modern, guitar-driven rock. As the lead single to his latest best-of collection More Modern Classics (which culls its otherwise previously released solo material from where its predecessor Modern Classics left off in 1999 through to the present day), it not only makes for a worthy addition to Weller’s catalog but a credible preface for new, uninitiated listeners as well.